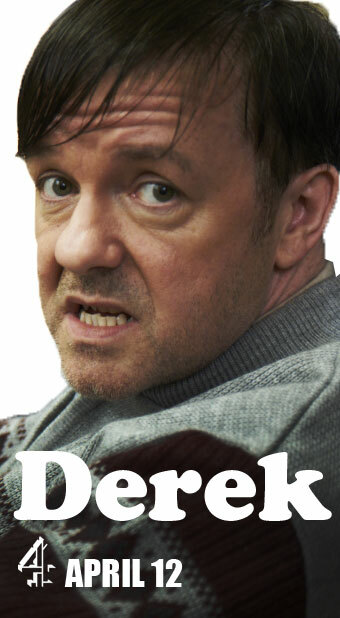 Apparently there's a new show on Netflix called Derek. I haven't watched it. Who has time to watch that sort of thing in between parenting, working, writing, cooking, cleaning, gardening, sports, cooking shows, and all the other things that fill up my life. Apparently, though, it features a lead character who is unbelievably good and presumably has a disability. It falls into the "angel" side of what I like to call the "Angel/Retard Dialectic" (discussed in this CNN essay). I'm very interested in the way that positive stereotypes, as nice as they can feel, are just as limiting as negative stereotypes. With his near-divine capacity for goodwill, Derek is exemplary of Hollywood’s tendency to canonize the differently abled. Like Forrest Gump or Chance the Gardener or the title character from I Am Sam before him, Derek is an MPDAP (Manic Pixie Differently Abled Person). MPDAPs don’t drink, smoke, or have any sexual desires; they exist solely to stand in contrast with the callousness and cynicism of the “mainstream” world ....The MPDAP change the lives of those around them by the force of his decency and goodness — and, perhaps, teach us audience members a valuable life lesson or two in the process. The problem is that, like most generalizations about marginalized groups, it perpetuates misconceptions about disabled people. Take, for instance, the stereotype that people who have Down’s Syndrome are more likely to be indiscriminately affectionate than those who don’t. While objectively speaking, there are far worse stereotypes for a marginalized group to be saddled with...such a trope dictates how other members of society see these groups, thus depriving them of their agency. There’s 7th Heaven, where the Camdens habitually refer to characters with Down’s Syndrome as “angels” (a designation that was rendered literal by the show Touched By An Angel, featuring a performance by Burke as a “guardian of faith”). At no point do these MPDAPs exhibit any human emotion other than pure decency, neither anger nor frustration nor sexual desire. They might as well be inspirational posters or cardboard cutouts in a middle school guidance counselor’s office. The characters of Timmy and Jimmy, while subject to the same level of scathing mockery as all other marginalized groups on the show, don’t exist as objects of pity or fetishization: they’re well-assimilated into their social circle, they’re capable of feeling emotions other than Derek’s brand of unconditional love and decency, and they pursue their interests while rebuffing anyone who attempts to valorize them for doing so. I'm not sure I can watch Timmy and Jimmy anymore, but it is true that they fall outside the "angel/retard dialectic." I stand by that. The key is to represent people with disabilities as people - or better yet to let them represent themselves - so they can live in the real, complex, often inconsistent, real world with everyone else. That's the pathway to inclusion.